#18. 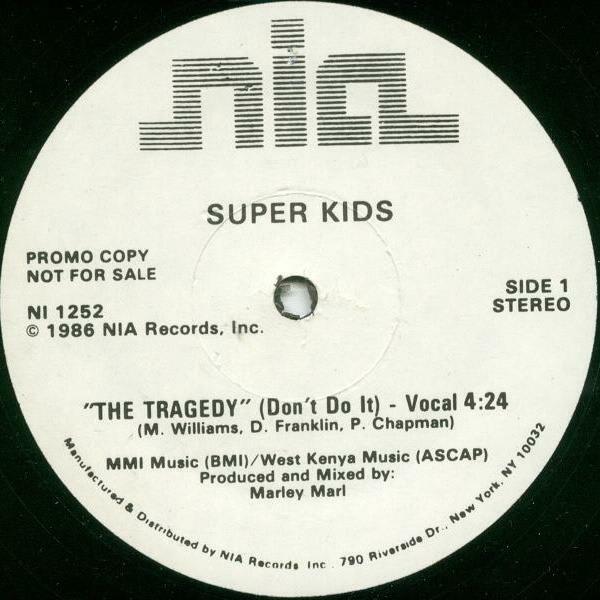 Super Kids "The Tragedy (Don't Do It)"
This autobiographical tale from the artist who would later dub himself the Intelligent Hoodlum is set to a soundtrack of abrasive guitar stabs, crude scratching, and extra loud drums, which some might consider the essential ingredients for a classic rap record. It doesn't take a genius to figure out why this single was changed from its original title of "Coke Is It," but rest assured that the real tragedy here is the fact that this classic isn't played at least once at every live hip-hop show.